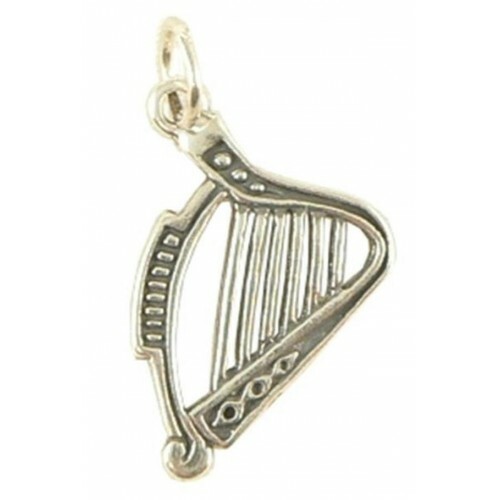 Pendant in 925 silver of Celtic Harp. For those who know it, there is no need to say anything. For those who ask the difference with an orchestra harp, this is much smaller, usually held in the arms or resting on a table and has no pedals. Even the strings are fewer. Typical instrument of Celtic folk music and symbol of Ireland together with the four-leaf clover (and the Guinness beer). Brand 925 on the coast on the left in the photo. It can be used attached to a silver chain, a bracelet, or to build an earring (we can do it).